I’m having a pyjama day today. I’ve had a couple lately. Every now and then the world gets too busy, I get run-down and I jump into bed (I try not to take my laptop – too often). The kids are at child care so I can luxuriate in nothingness. Sleep. Read. Try not to think too much. Recuperate. When I was a teenager I used to need pyjama days a lot. Each year in high school, I’d take one day, and it would turn into a week. I would lie on the couch and watch morning TV, then the soap operas, then vegetate. I’ve always loved my mum for understanding that I needed to do this. As a kid I put a lot of pressure on myself. I didn’t need parental expectations, I had enough of my own. I was a hard worker, a passionate student and wanted to excel. This downtime kept me going. There’s a reason people call them ‘mental health days’. But I wonder, does everyone need them? I’ve recently read a book that has changed my perspective on the world, and given me real insight into the way I approach things. 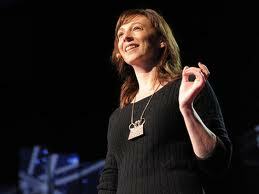 Susan Cain’s QUIET: The Power of Introverts in a World That Can’t Stop Talking (she also does a great session on TED). It’s become my Bible that I want to carry around and refer to all the time. It’s certainly explained a lot of my behaviour for the past 41 years. Cain focuses on introversion not as a form of shyness, but how we respond to external stimulation. Most introverts prefer, and get off on, quiet environments. They prefer one-on-one conversations over group activities, usually D&Ms (deep & meaningfuls), not social chitchat. They enjoy time alone. They like working in spaces where they have their own office (and can shut the door), where they can focus right in, without distractions. All of this is so familiar to me. But problems can arise because these days there is great pressure to be an extrovert (especially when you’re a writer, an often introverted profession), to be a great public speaker, to work the room at events. While I don’t think Australia is quite at the level of the US (where it’s almost seen as a stigma to be introverted), many grow up thinking that to be successful they need to be a ‘people person’. It makes me laugh thinking back to my first job interviews as a teenager, as I always said this about myself knowing it to be key, but even then I felt like it was a deceit. As I grew older, I put more pressure on myself to take on roles that involved a public life (information officer, marketing) but in the end it was exhausting. What I really wanted was to be an editor or writer, to work on projects, to be thorough and demanding and immersed. And as a freelancer working from home, I’ve created that space. The digital world has opened that up to me. When I worked in the public service, offices were being removed, everyone was going open plan, all staff were being trained to be trainers, brainstorming was the ‘in’ thing, the constant noise was deafening, and no-one ever got any work done. Cain systematically goes through many of these ideas (open plan, brainstorming, group activities at school) and argues that often the end result is not the best outcome (either for introverts or extroverts). There is also a great deal of pressure on parents to have social children who fit in easily and make lots of friends. Even at kinder level, my son is doing talks to the group. Many parents enrol their kids in whirlwinds of extra activities after school like dancing, soccer and music. But what about the child who would rather stay at home and lie on the couch, reading? In the school holidays I used to take a stack of books, wherever I was, and find a comfy corner. We’re going to the beach! Swimming! The sun’s shining outside! It was very hard to drag me out…But I was passionate about words. And I was completely, blissfully, happy exploring those worlds. And still am. Now, somehow my introverted husband and I have managed to raise two extroverted kids (there’s another story in itself – it really helps at parties when your son know all the kids’ and parent’s names) but the important main point of QUIET is that introverts should be left alone (in many senses), not forced to change, and can even teach others in their own ways. Without introverts, we’d be missing out on many writers, artists, researchers and scientists who step back and look at the world from a different angle. Social media is an interesting space because it is an easy way for introverts to become extroverts. It’s much easier to approach others, to comment, to be part of the conversation, to self-promote. But it can be too easy too. When I opened my Twitter yesterday I saw a tweet that I don’t remember sending. I thought I had been hacked! Kirsten Krauth read a book by Kirsten Krauth. It had gone out to everyone! It really brings solipsism to a whole new level, doesn’t it? But what had happened was that I had marked my own novel in Goodreads (ie I had ‘read’ it) and Goodreads sent that tweet off via Twitter without me realising. The ludicrous nature of that tweet really brought it home. As Cain points out, there is a point when I need to stop talking. And I’ll be ironic and use my blog to say that. It’s time to get back down under the doona and start on the pile of novels I’ve got beside the bed. WHAT ABOUT YOU? ARE YOU AN EXTROVERT OR INTROVERT? DO YOU NEED DOWNTIME? HOW DO YOU MANAGE IT ALL?